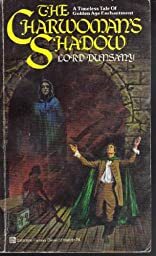 CHARWOMANS SHADOW was written by Lord Dunsany. CHARWOMANS SHADOW was published by Del Rey. About Lord Dunsany (Author) : Lord Dunsany is a published author of young adult books. Some of the published credits of Lord Dunsany include Fifty-One Tales.